In keeping with my holidays this year, I spent New Year’s Eve day much like I spent Christmas Eve day – on a boat, doing some snorkeling around some super-cool reefs. 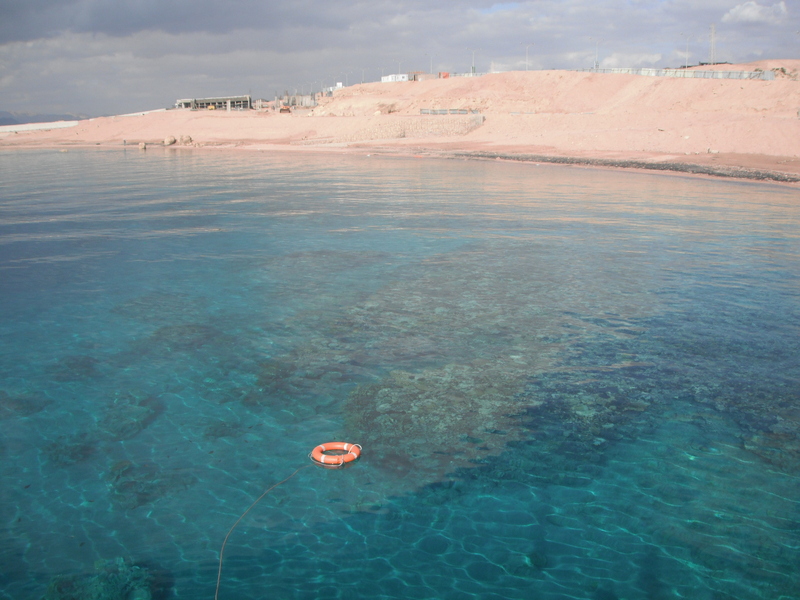 This time, though, I wasn’t at beautiful Moucha Island in Djibouti, I was in the gorgeous waters of Aqaba, Jordan. I went with some friends to the dive center at one of the hotel/resorts in Aqaba (I would highly recommend these guys. 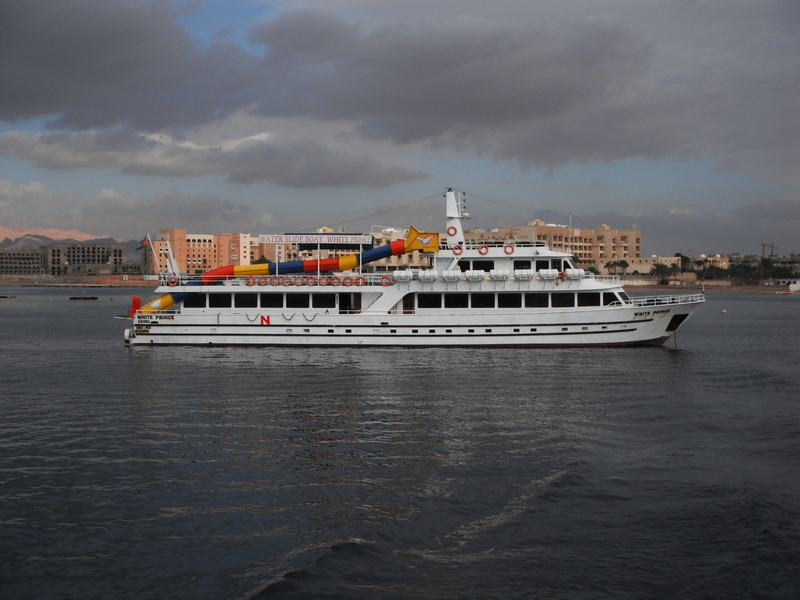 For info, check out: http://www.moevenpick-hotels.com/en/pub/your_hotels/worldmap/tala_bay_aqaba/sports__leisure/diving_centre.cfm – in particular, Issa is very friendly, capable, and a lot of fun. If he’s part of your crew, you’re in for a lot of laughs! ), and for 45 Jordanian Dinars per person (or currently around $63 in US Dollars, according to my favorite handy-dandy currency conversion website: http://www.xe.com/ucc/), we were off on a really nice boat for some of our group to scuba, some to snorkel, and others to just relax on the boat. This travelling chitalian isn’t scuba certified (though certainly considering it for the future!) so I stuck to snorkeling. Yup, that is a boat with an on-board water-slide! Now, Jordan isn’t nearly as warm as Djibouti at this time of year, so there was certainly a bit of a chill in the air, but it wasn’t too bad. Many of the snorkelers opted for a wetsuit, to keep a little warmer even on the surface, but in shallower parts of the reef the water was actually quite warm. A wetsuit isn’t strictly speaking necessary at this time of year, but if you’re the type of person who gets cold easily, you might want to opt for one. Thankfully, the well-equipped boat we were on had hot showers available to take the chill off for those who were cold coming out of the water. Now, if you’re going to be in the area but not really into snorkeling or scuba, and just want to have some silly fun, maybe you can find this other boat we saw that had a water-slide into the ocean on it! But if you want to do the scuba/snorkel thing, stick with these guys – not only did they take us to some cool spots, including a shipwreck for the divers to explore, but they made a fantastic lunch, included in the day trip price. 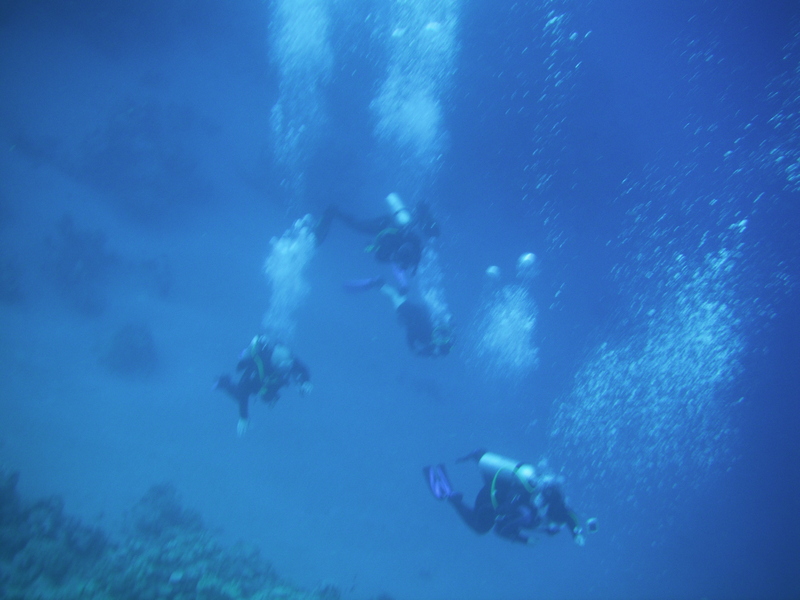 The boat went out for a full day, and made many stops along the way to explore different parts of the reef, and even a shipwreck that the divers were able to go down to and swim around. 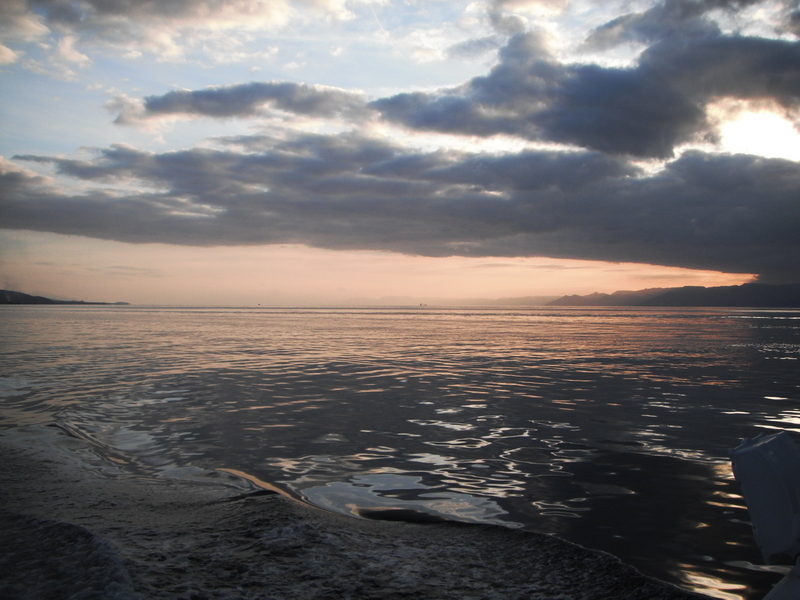 I had a great time snorkeling around during two of the stops, and saw many cool things. There were some really neat needle fish, schools of pretty fish I don’t know the first thing about (including their species), and I even got to see an octopus!! The octopus kind of looked like a rock at first, but as I went to swim by, I noticed it move. I hovered a little and I think he was looking back at me…. His tentacles were curled up underneath him (maybe the octopus equivalent of sitting cross-legged?) and he sort of flexed a curl or two a little bit, but stayed pretty still. 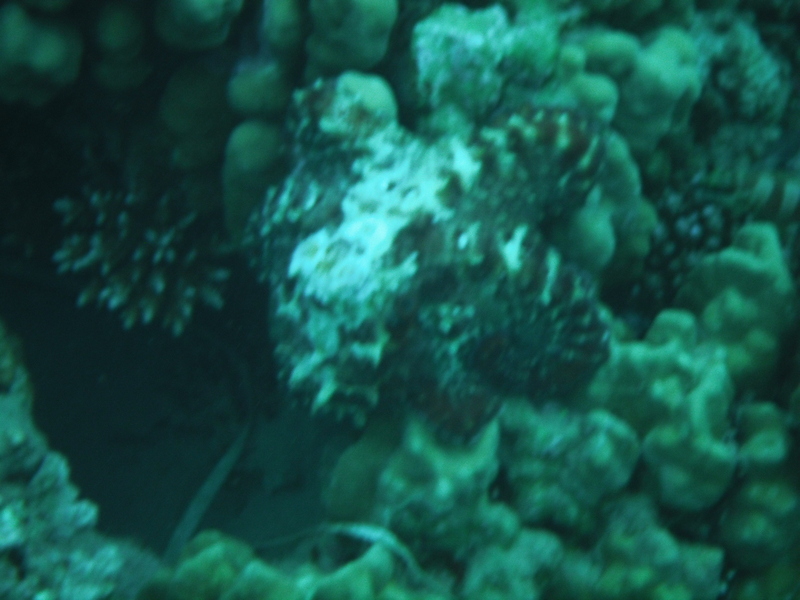 I snapped a couple of pictures, and then freaked myself out by remembering a discovery channel or animal planet video I saw recently about an octopus wrapping itself around a scuba diver (see http://www.youtube.com/watch?v=iSNl50mvDuk for a clip). Now, this little guy wasn’t nearly as big as the one on TV and wasn’t making any moves towards me, but still, I felt it wise to let him have his space!! If these guys can be a challenge for a diver with his own oxygen supply, they certainly could pose big problems for a snorkeler, so recognizing and respecting the fact that the sea is his home, not mine, I retreated back to the boat. Once back and feeling safe and secure on the boat again, I could get to the business at hand: relaxation and some good times with some new friends. We listened to some music, had our yummy lunch, had some drinks (only for those post-dive – drinking & diving don’t mix!) and some of us even took some short cat-naps on the benches/beds that were on the upper deck. After all, it was new year’s eve, and we had to prepare ourselves for a late night of festivities back at our hotel! All in all, it was really a great New Year’s Eve Day! You can see right to the bottom from the deck of the boat!